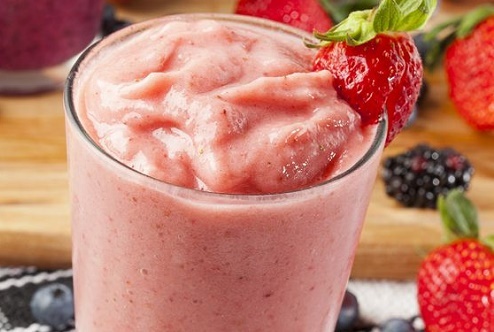 This creamy treat also doubles as a great breakfast shake. Thick Greek yogurt is packed with protein and makes any dessert more delicious. Combine all ingredients in blender and blend until frothy. Serve chilled. Make these an indulgent after-dinner treats by substituting strawberry ice cream for the yogurt and chocolate syrup for the preserves.